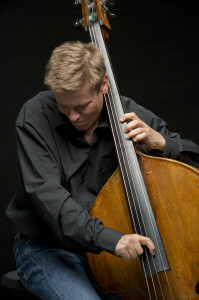 Peter Vuust is a unique combination of a world class musician and a top-level scientist. He plays and records with international jazz stars such as Lars Jansson, Tim Hagans, John Abercrombie and Jukkis Uotila, and appears on more than 85 records, 6 of these as band leader. Based on his distinguished music and research career, he was appointed Professor at RAMA in 2012. After graduating from AU in Mathematics, French and Music, he devoted ten years to playing music, before resuming an academic career in 2000. He wrote a book on polyrhythms in Miles Davis’ quintet that laid out the musicological framework for his PhD in neuroscience in 2006 concerning the neural processing of polyrhythms. Using neuroimaging (EEG, MEG and fMRI), he provided evidence of an overlap between neural substrates underlying processing of music and language, especially in musicians. This led to research into emotional impact of music, studies of neuroplasticity, clinical applications of music, and research into general theories about brain organization. Vuust collaborates and publishes with top-researchers such as Chris Frith, Risto Näätänen, Sonja Kotz, Eric Clarke and Petri Toiviainen. Since 2007, Peter Vuust has led his own group and provided funding for PhD-students and postdocs through external collaborations, local committee applications, research councils, private companies and foundations. As a leader, Peter Vuust draws on his many national and international personal relations and on his experience through 20 years as leader and fundraiser for his jazz orchestra, Peter Vuust Quartet. Peter Vuust’s publication record counts nearly 50 publications in international, peer-reviewed journals, excluding 6 submitted publications in 2014. Of these publications Peter Vuust is first author of 19 papers, and last author of 27 papers. He has written several book chapters, and two monographs. He publishes in the highest ranking journals in the field of cognitive neuroscience: Behavioral and Brain Sciences, Cerebral Cortex, Cortex, and NeuroImage. Furthermore, he publishes in the highest ranking journals specialized for musicology (Music Perception and The Psychology of Music). Vuust et al. Cortex, 2009 on predictive coding of music has been cited 63 times, and Vuust et al, NeuroImage, 2005 on the influence of expertise on rhythmic processing, 107 times (PoP). The latter work showed that non-verbal rhythm cues are processed pre-dominantly in the left hemisphere of expert jazz musicians in comparison to non-musicians. The issue of left-lateralized processing of music is crucial because it questions the unique affinity between language tasks and the inferior frontal and superior temporal lobes in the left hemisphere. It has affected current thinking on the interactions of musical and linguistic stimuli also in rehabilitation efforts of language, and it has important implications for such topics as pre- and postnatal learning and dyslexia. That musical expertise is related to left-hemispheric brain activity in relation to rhythms has later been replicated for melody (by e.g. Herholz et al, 2009) and for harmony (by Tervaniemi et al, 2012). Gebauer L, Vuust P (2014): Music Interventions in Health Care. White-Paper for Danish Sound Innovation Network, The Technical University of Denmark. Gebauer L, Foster NE, Vuust P, Hyde KL (2014. Is there a bit of autism in all of us? Autistic traits are related to cortical thickness differences in autism and typical development, In prep. Dohn A, Garza-Villarreal E, Heaton P, Vuust P (2012): Do musicians with perfect pitch have more autism traits than musicians without perfect pitch? An empirical study. PLoS one, 7(5). Gebauer L, Kringelbach ML & Vuust, P (2012). Ever-changing cycles of musical pleasure: the role of dopamine and anticipation. Psychomusicology: Music, Mind & Brain, 22(2), 152-167. Green A, Bærentsen KB, Stødkilde-Jørgensen H, Roepstorff A, Vuust P (2012): Listen, learn, like! Dorsolateral prefrontal cortex involved in the mere exposure effect in music. Neurology Research International, 2012:846270. Jespersen K, Vuust P (2012): The effect of relaxation music listening on sleep quality of traumatized refugees, Journal of Music Therapy, 49(2):205-229. Vuust P, Brattico E, Seppänen M, Näätänen R, Tervaniemi M (2012): The sound of music: differentiating musicians using a fast, musical multi-feature mismatch negativity paradigm. Neuropsychologia 50(7), 1432-43. Garza-Villarreal E, Brattico E, Leino S, Østergaard L, Vuust P (2011): Distinct neural responses to chord violations: a multiple source analysis study. Brain Research, 1389:103-14. Garza-Villarreal E, Brattico E, Vase L, Østergaard L, Vuust P (2011): Superior analgesic effect of an active distraction versus pleasant unfamiliar sounds and music: the influence of emotion and cognitive style. PLoS one, 7(1):e29397. Petersen B, Hansen RH, Beyer K, Mortensen MV & Vuust P (2011): Music for little digital ears – Music training with preschool children using cochlear implants. International Journal of Pediatric Otorhinolaryngology, 75 (Supplement 1), 66. Vuust P, Wallentin M, Mouridsen K, Østergaard L, Roepstorff A (2011): Tapping Polyrhythms in Music Activates Language Areas. Neuroscience Letters, 494(3):211-6. Vuust P, Brattico E, Glerean E, Seppänen M, Pakarinen S, Tervaniemi M, Näätänen R (2011): New fast mismatch negativity paradigm for determining the neural prerequisites for musical ability. Cortex, 47(9):1091-8. Wallentin M, Nielsen AH, Vuust P, Dohn A, Roepstorff A, Lund TE (2011): BOLD response to motion verbs in left posterior middle temporal gyrus during story comprehension. Brain and Language, 119(3):221-5. Wallentin M, Nielsen AH, Vuust P, Dohn A, Roepstorff A, Lund TE (2011): Amygdala and heart rate variability responses from listening to emotionally intense parts of a story. NeuroImage. 58(3):963-73. Friis-Olivarius M, Wallentin M, Vuust P (2009): Improvisation – the Neural Foundation for Creativity. Proceedings of the 2009 ACM SIGCHI conference on creativity and cognition: p. 411-412. Vuust P, Ostergaard L, Pallesen K J, Bailey C, Roepstorff A (2009): Predictive coding of music: brain responses to rhythmic incongruity. Cortex, 45:80-92. Konvalinka I, Vuust P, Roepstorff A, Frith C (2009): A coupled oscillator model of interactive tapping. European Society for the Cognitive Sciences of Music (ESCOM), 7 edn, Jyväskylä. Chakravarty MM, Vuust P (2009): Musical Morphology, Annals of The New York Academy Of Sciences, 1169:79-83. Garza E, Brattico E, Leino S, Østergaard L, Vuust P (2009): Harmony Wants to Sit in the Front: Different Brain Responses to Violations in Chord Progressions. European Society for the Cognitive Sciences of Music (ESCOM), 7 edn, Jyväskylä. Vuust P (2009): Perception, Cognition, and Learning: Cognitive Research at the Music Academies in Denmark, Danish Yearbook of Musicology, 36:9-19. Petersen B, Mortensen MV, Gjedde A, Vuust P (2008): Reestablishing speech understanding through musical training after cochlear implantation. Annals of New Yoork Academy of Sciences, 1169:437-440. Vuust P, Frith C (2008): Anticipation is the key to understanding music and the effects of music on emotion. Behavioral and Brain Research, 31:599-600. Kringelbach ML, Vuust P, Geake J (2008): The Pleasure of Reading. Interdisciplinary Science Reviews, 33(4):321-335. Vuust P, Roepstorff, A. (2008): Listen up! Polyrhythms in brain and music. Journal of Cognitive Semiotics 2008(3):134-158. Green AC, Bærentsen KB, Stødkilde-Jørgensen H, Wallentin M, Roepstorff A, Vuust P (2008): Music in minor activates limbic structures: a relationship with dissonance? NeuroReport, 19(7), 711-715. Vuust P (2007): Musikkens Sprog. Psyke & Logos, 28, nr 1, p. 186-209. Leino S, Brattico E, Tervaniemi M, Vuust P (2007): Representation of harmony rules in the human brain. Brain Research, 1142:169-77. Vuust P, Østergaard L, & Roepstorff A (2006). Polyrhythmic communicational devices appear as language in the brains of musicians. Proceedings from the 9th International Conference on Music Perception and Cognition, 2006 (pp. 1159-1167). Vuust P, Roepstorff A, Wallentin M, Mouridsen K, Østergaard L (2006). It Don’t Mean a Thing… NeuroImage, vol. 31 nr. 2, 832-841. Vuust P, Pallesen KJ, Bailey C, Van Zuijen TL, Gjedde A, Roepstorff A, Ostergaard L (2005). To musicians, the message is in the meter pre-attentive neuronal responses to incongruent rhythm are left-lateralized in musicians. NeuroImage, 24, 560-564. Reviewer for J. Neuroscience, J. Cognitive Neuroscience, NeuroImage, Cerebral Cortex, Cortex, Psychophysiology, Brain Research, Experimental Brain Research, Music Perception, Psychomusicology, PLoSone, Frontiers, NWO, ISF, NSF, and two international doctoral defenses. More than 100 media appearances during the last four years on various subjects related to music, brain and cognition (full list: www.pure.au.dk).